"Kahler's controls and their automation system made this the most efficient facility in the Midwest." 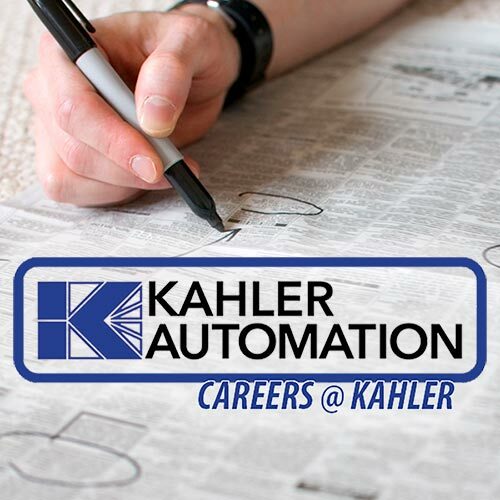 See what people are saying about Kahler Automation! "The special tour gave insight to issues and concerns of farmers, while showing newer technology for the industry." "Kahler builds systems that control everything from a 24/7 fertilizer facility in Brownton, Minn., to panels needed to operate a bean-processing plant in Belize." "Kahler Automation provided a pre-wired motor control center that saved labor and simplified the electricians' job onsite." "Kahler's controls and their automation system made this the most efficient facility in the Midwest." "In working with Yargus and Kahler on the project a state-of-the-art laser system was implemented at the Tripper Conveyor to add to their precision." "First, we needed to provide 24/7 unstaffed loadout allowing our customers to pick up fertilizer 24 hours a day, seven days a week. Also, we needed an accurate and reliable means of impregnating herbicide into our dry fertilizers. Kahler accomplished both of these key requirements with speed, accuracy and efficiency." "Kahler Automation’s design created the opportunity for The McGregor Co. to expand operating at the facility substantially." 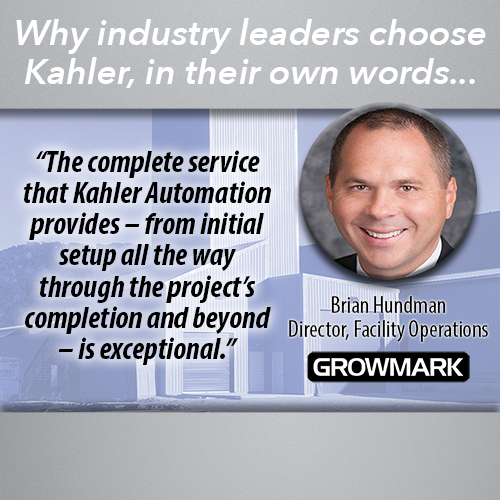 "We knew Kahler Automation had the knowledge and we knew their track record. We didn’t spend money to build this facility, we invested money to build this facility." "The Kahler Automation system allows crop protection products, fertilizer and micronutrients to be weighed and blended electronically on-site to precise measurements, with each load tailored to what specific fields need." "With our Kahler Automation system, we can perform any operation in this building with one person." "When it comes to technology, efficiencies and operational ease we partnered with the industry leaders — Stueve Construction, Waconia Mfg. and Kahler Automation on our projects." "A very sophisticated liquid feed system was designed by Kahler Automation which fed a six-nozzle spray system in the HIM mixer where six liquids can be sprayed simultaneously so that speed is not compromised when impregnating." "To run the system, Sackett teamed with Kahler Automation to provide Wilbur-Ellis with a full Allen Bradly PLC and MCC-based system with automatic controls and agronomy interface." "The facility is automated using Kahler’s latest recipe-based software which allows the entire plant to be operated from a single touchscreen."